GSMArena team, 25 December 2017. 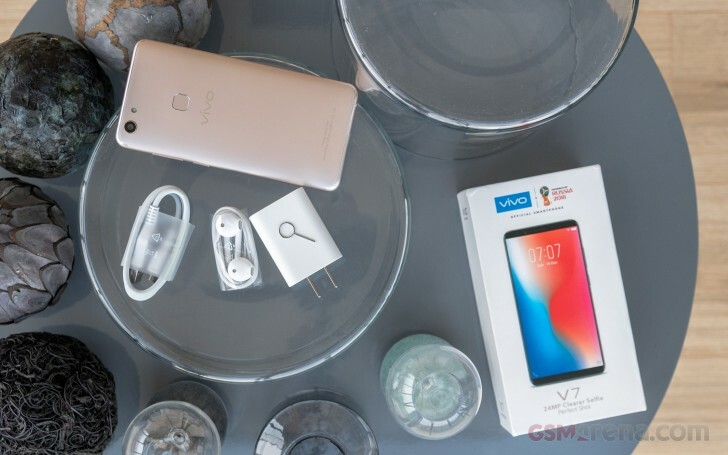 The vivo V7 has enough to make an excellent first impression - FullView display, fashionable design, high-res cameras, snappy chipset, and a fancy title - Official Smartphone for FIFA World Cup 2018. But beyond all these niceties is vivo's continuing dedication to the selfie photography and the V7 puts your face on 24MP pictures. 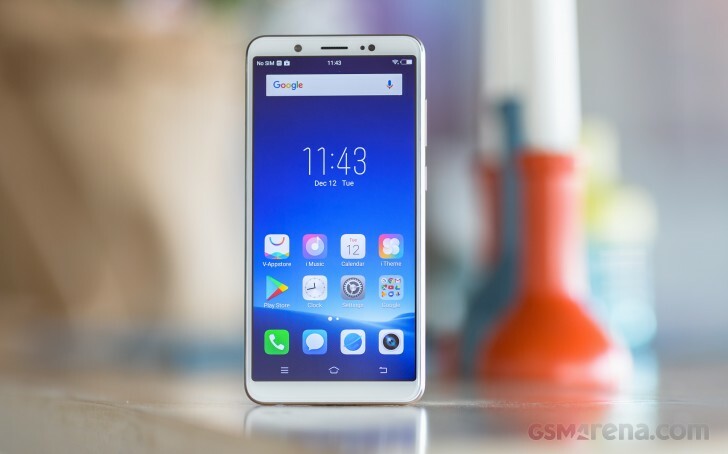 There is vivo V7 and but there is also the V7+. Unlike other smartphone pairs, the V7+ only gets a 0.2" larger screen diagonal and 8% higher battery capacity to deserve the extra plus sign in its model name. But we're not judging - diversity has always been a good thing. We're just here to find out what the duo has to offer and whether it delivers where it needs to. Having already reviewed the V7+, we know the potential of the V7, its performance, its imaging skills, Face Unlock and Funtouch OS. So we approached this review well prepared and with high expectations. What we missed in the V7+ and now in the V7 - is the dual-band Wi-Fi support and perhaps the fast charging. 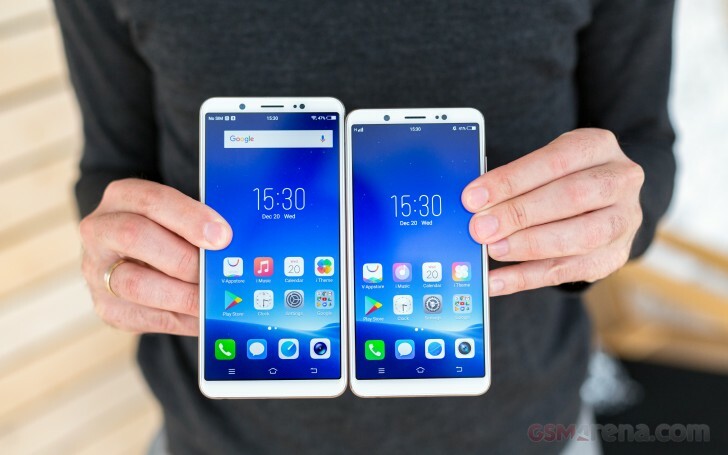 The Snapdragon 450 platform has native support for those, but for some reason, vivo chose not to implement them. Those are not deal-breakers, though, and we are at least glad to see a dedicated microSD slot on a dual-SIM phone once again. For a reasonably priced mid-ranger, the V7's retail package is full of goodies. In addition to the 10W charger and the microUSB cable, you'll also get a comfy pair of earbuds and a thin silicone case. All V7 units also come with a factory-applied screen protector. 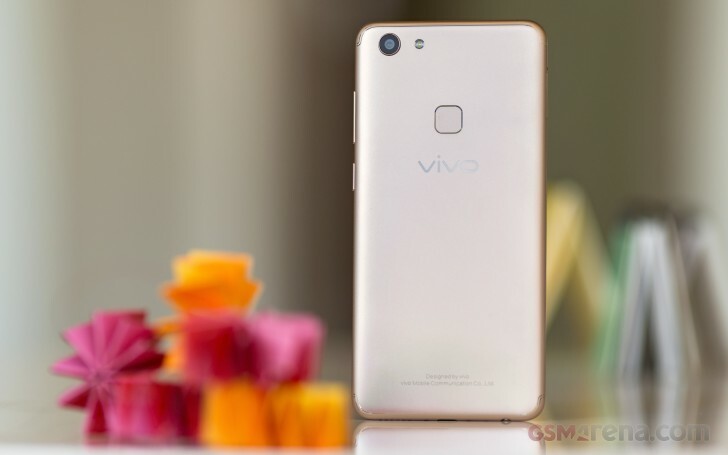 The vivo V7 has the same metallic looks as the Plus, but once again it's made of plastic. Yet, if we don't tell you about it, you would have a really hard time figuring that out. Which means vivo did a great job building the V7 shell and that counts for something. And speaking of the V7+, we can't miss the opportunity to size up those two and show you how small the difference is. The 5.7" FullView widescreen is the V7's standout feature. 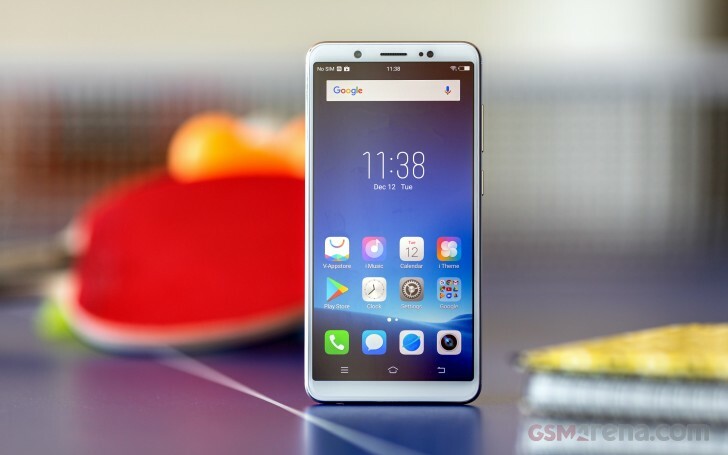 Vivo has jumped on the 18:9 bandwagon, which allows for a more immersive experience with some apps while bringing black strips with other apps. This screen trend is not going away anytime soon, so the devs should really step up the optimization for this screen aspect ratio. The 24MP selfie snapper, which we saw on the V7+, is still here, but apparently, there wasn't enough space for V7+'s LED flash. Nevertheless, you can use the so-called screen flash, and it can get quite bright too. Unlike the V7+, vivo didn't mention the maker of the V7's screen glass, so can't know for sure how tough it is. 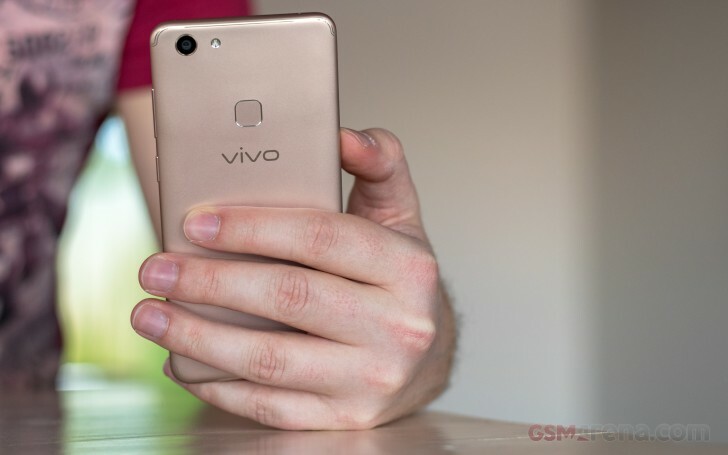 The V7 body might be plastic, but vivo has done an excellent job out of the making it look like metal all the way down to the antenna lines carved around the top and bottom. As you can imagine, those are there for purely decorative purpose as you can have the antennas on the inside when you have a plastic back cover. The only piece of real metal is found around the bulge of the rear 16MP camera. There is also a LED flash at the back, and the fingerprint sensor is nearby. The scanner is always-on and recognizes fingerprints in an instant. At 139g of weight, the V7 is very light for a phablet. It provides a rather secure grip enhanced by the sharp curves around the sides. Single-handed operations aren't the V7's strong side, but handling that large and yet lightweight body feels surprisingly nice.